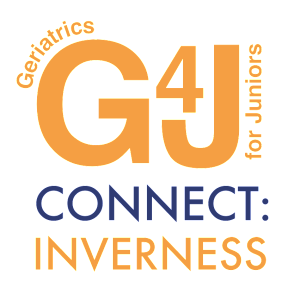 We’re delighted to announce that G4J Connect:Inverness will be held on Wednesday 18th March 2015, in the Medical Education Room in Raigmore Hospital in Inverness, from 6.00pm to 8.30pm. As a first for G4J, the event will also be video-linked to other venues, including Stornoway in the Western Isles, Wick, Elgin, Fort William and Aberdeen. The programme will be confirmed shortly, but will include practical, engaging and entertaining sessions on various aspects of the clinical care of older patients, with a particular focus on practising rural medicine – if you’re a junior doctor in the region and you look after older patients, you won’t want to miss this! NB. Online registration is only required if you wish to attend the main event at Inverness. You do not need to register to attend one of the video-linked sites. ← G4J Connect:Glasgow – The debrief!